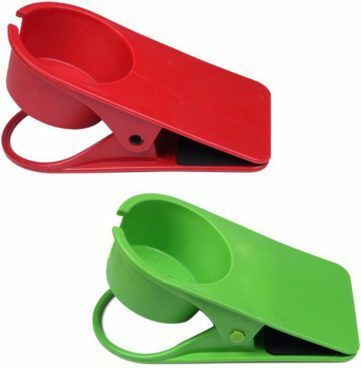 Cup Holder Clip Only $4.57 + FREE Shipping! You are here: Home / Great Deals / Amazon Deals / Cup Holder Clip Only $4.57 + FREE Shipping! Easily hold your drink can or cup when there’s no room on your desk or table with this Cup Holder Clip ! Also great for picnic tables! Right now, you can get this for $4.57 + FREE shipping! Save desktop space, and prevent accidental spills. Holds your phone while hole in bottom allows USB cable through for charging. Apply to any desktop, less than 3.8cm/1.50in thick.